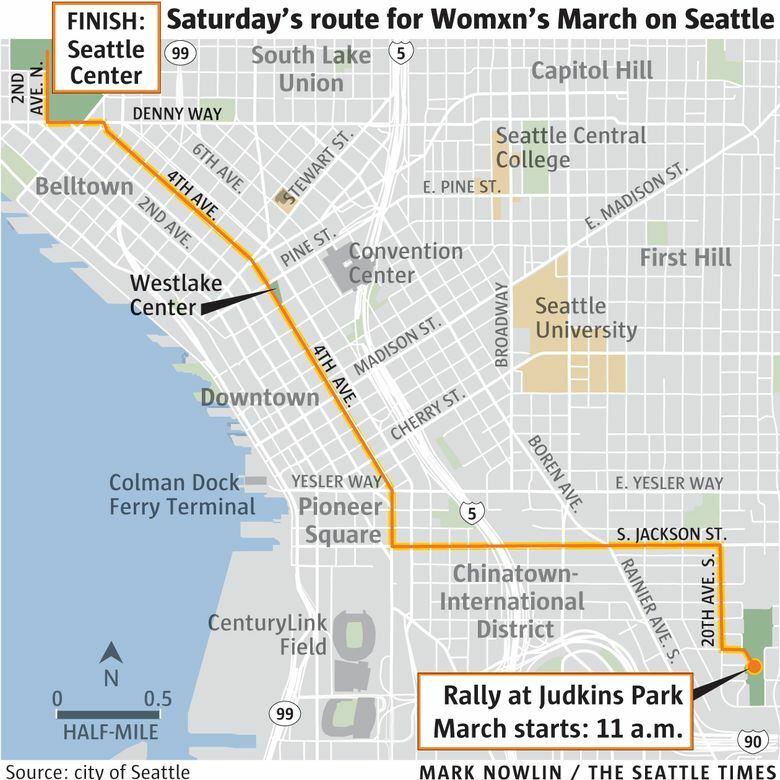 With women's march filling all three miles of its route from Judkins Park to Seattle Center, expect traffic delays in the area. Seattle Police say the women’s march is now filling up all 3 miles from its starting point at Judkins Park to Seattle Center, its destination. You know what that means: No way to get from one side of the march route to the other anytime soon. Local organizers have pegged the size of the crowd at about 100,000 people. If that’s the case, the march would surpass the size of the WTO protests in 1999, one of the largest political demonstrations in the city’s history. Above is the map of the streets now apparently filled with marchers. Police also tweeted the final participants left Judkins Park at about 1:20 p.m.
Find more live updates here.